Probably one of the the best battery switches in the world. Prevents from battery discharge on longer storing periods. Works as well as a reliable mechanic anti theft device. Easily installs onto your battery ïn a few minutes: No mecanical skills required. Suitable for all kind of 6, 12 and 24 volt electrical systems up to 350 amps in cars, lorrys, vans, trucks, SUV, campers, boats, farming machines, classic vehicles etc. he first patented battery cut off switch for motorcycles worldwide! 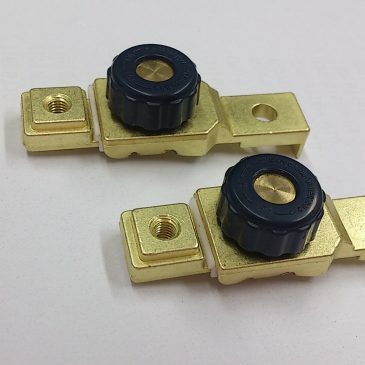 Through his compact sizes – lenght 61 mm, width 20 mm, installation height 18 mm – and his special shape this battery cut off switch can be used for any type of motor cycle battery and any type of motor cycle wiring loom up to 180 ampere. Prevents from battery discharge on longer storing periods. Works as well as a reliable mechanic anti theft device. Easily installs onto your battery ïn a few minutes: No mecanical skills required. Battery no problem is probably one of the best battery switches in the world which can be used as well as an anti theft device. It can be easily installed in a matter of minutes in any car, lorry, truck, SUV, camper boat, farming machine, classic vehicle or any DC power system up to 350 AH in general. The first patended battery cut off switch for motorcycles worldwide with mecanical anti theft device. Owing to its compactness (lenght: 61 mm, width: 20 mm, height: 18 mm and his special form adapted to motorcycle battery terminals it can be easily installed in a matter of minutes in any motorcyle, scooter, jetski, snow mobile or any DC power system up to 180 AH in general.